The two hottest teams in the Central Division are on a collision course. 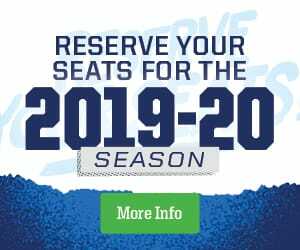 The Manitoba Moose host the San Antonio Rampage this weekend at Bell MTS Place with the Moose on a six-game home point streak and the Rampage winners of four in a row. Logan Shaw leads Manitoba in scoring heading into the showdown, and likes the way things are going. Shaw scored the game-winner on a power play against Milwaukee on Wednesday to help the Moose reach five wins and a shootout loss in their last half-dozen games in downtown Winnipeg. 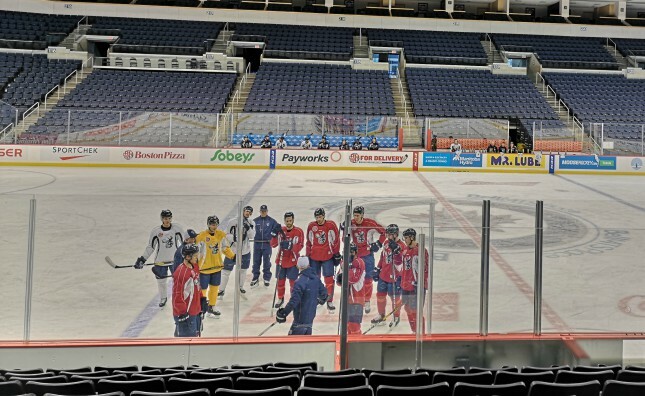 The former Montreal Canadien, Anaheim Duck, and Florida Panther tops the Moose with 26 points in 32 games, and arrived at practice Friday with some good news. Shaw has been added to the Central Division roster for the 2019 Lexus AHL All-Star Classic coming up January 27-28 in Springfield, Massachusetts. Shaw’s selection is his first, and comes in a season that started with a professional tryout at Calgary Flames camp, followed by an AHL deal with San Diego, before the Winnipeg Jets signed him to a two-way contract. Shaw replaces Mason Appleton who is with the parent club. Manitoba and San Antonio have split four games this season with the home team winning each time. Saturday’s game starts at 2 p.m. and the first 3,000 fans in attendance receive a Mason Appleton mini-bobblehead. Tickets are available at moosehockey.com/tickets.